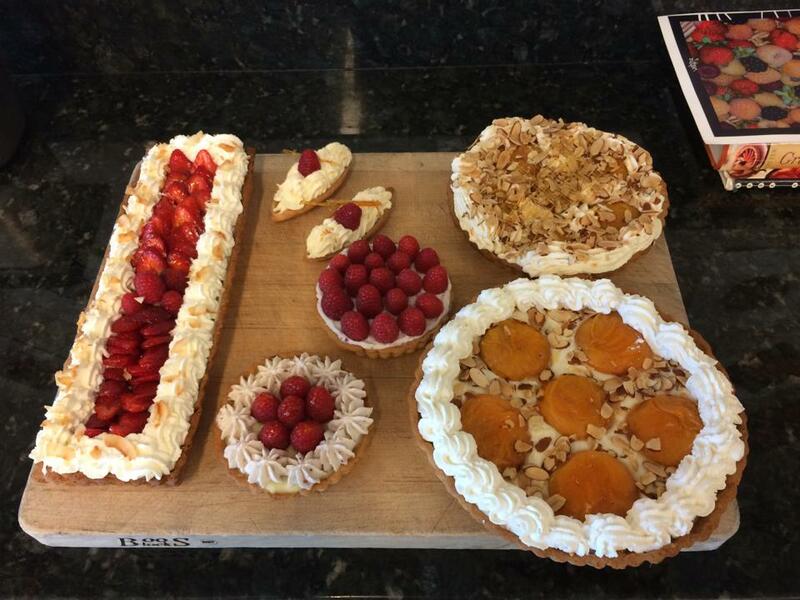 Assorted fruit tarts with frangipane, pastry cream or chantilly fillings. 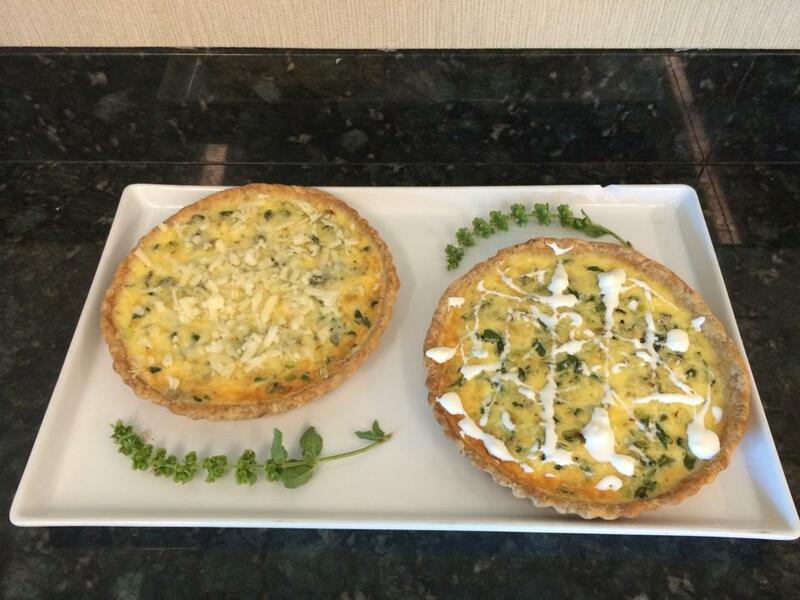 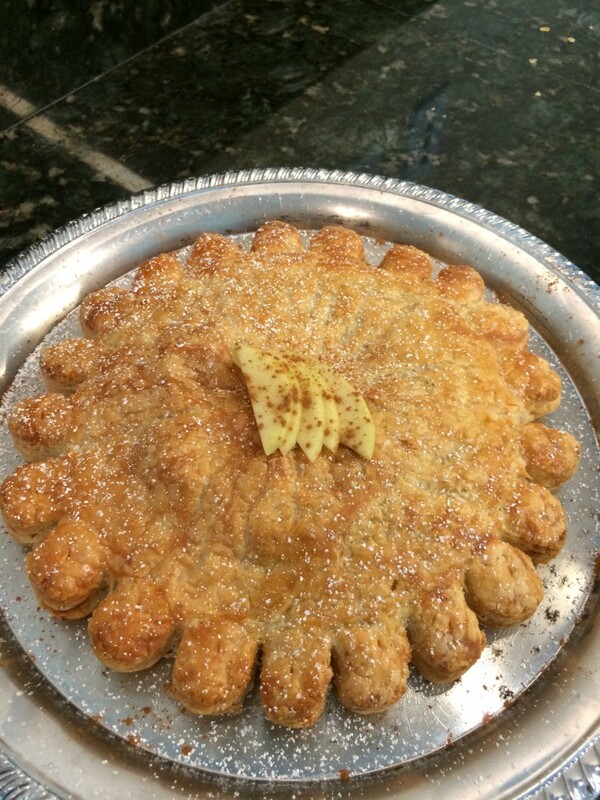 Pate Brisee with asparagus, leek, gruyere and goat cheese quiche filling. 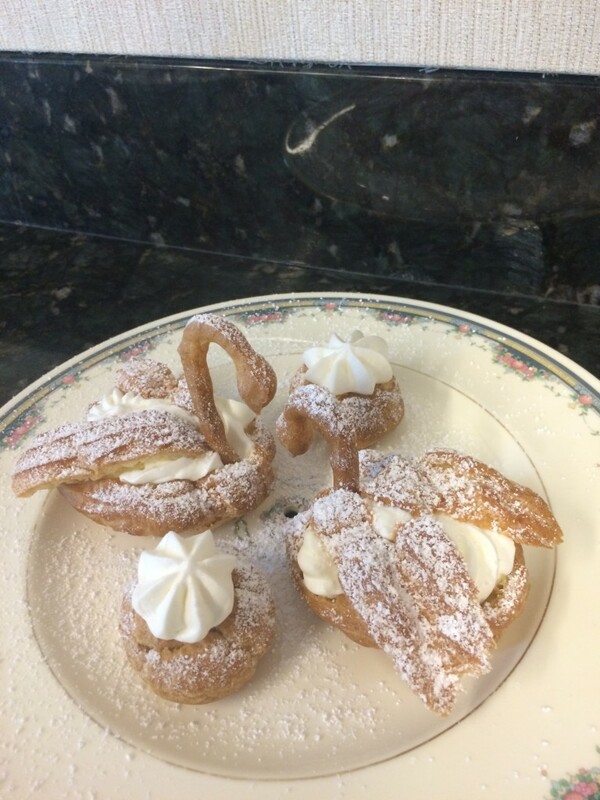 Topped with creme fraiche. 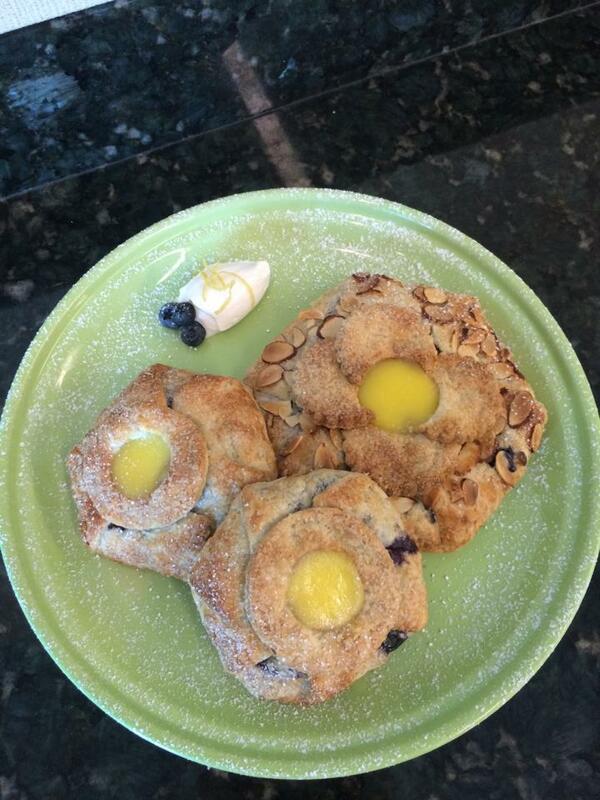 Blueberry Galettes with Lemon Curd & a lemon chantilly quenelle. 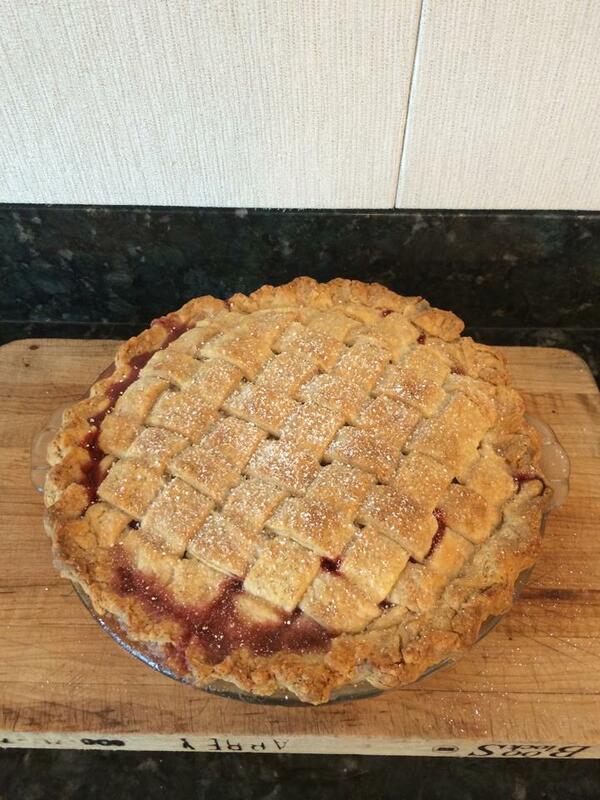 Strawberry Rhubarb Pie with a streusel topping and lattice. 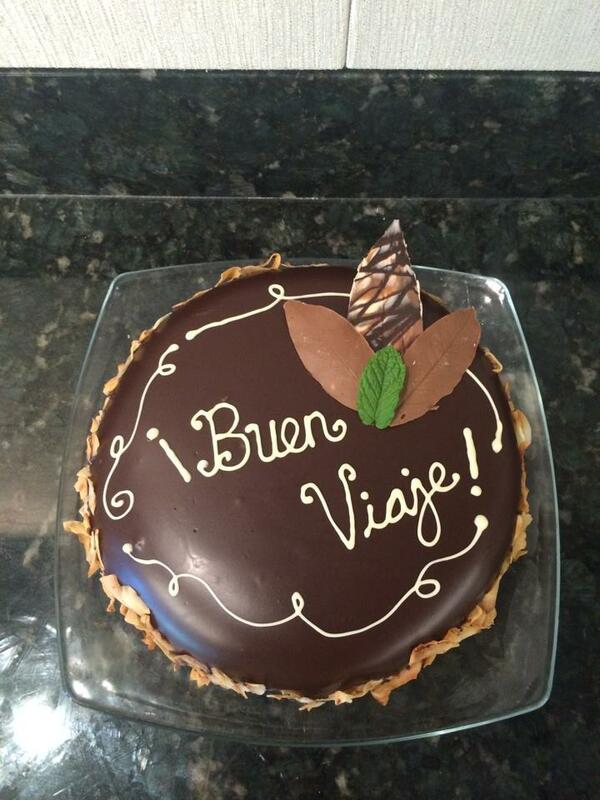 Biscuit cake with espresso mascarpone mousse and toasted coconut, whipped coconut cream frosting and glazed in bittersweet chocolate. 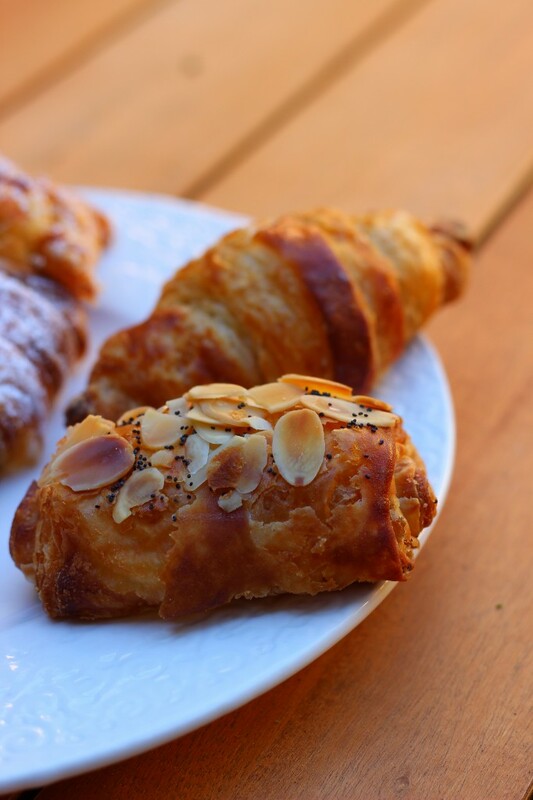 Toasted coconut and chocolate leaves for decoration. 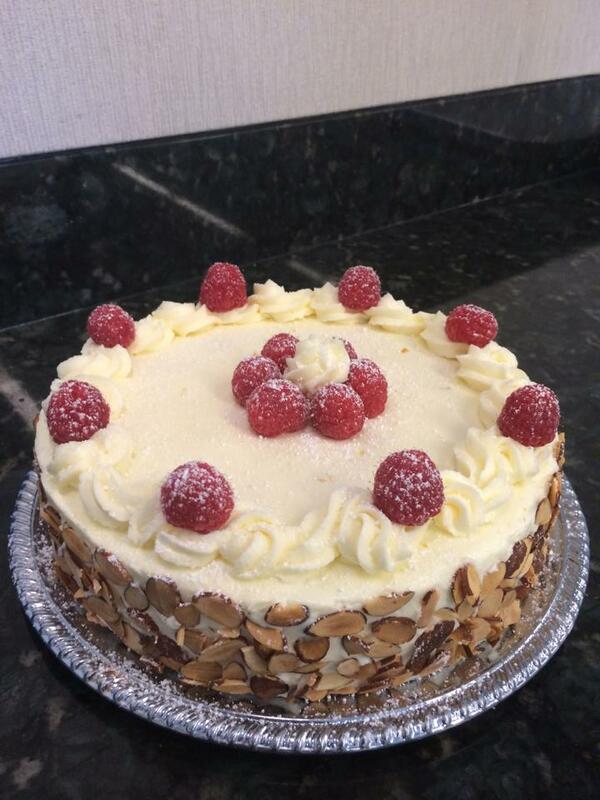 Genoise Cake filled with lemon curd and raspberries, with lemon buttercream and toasted almonds. 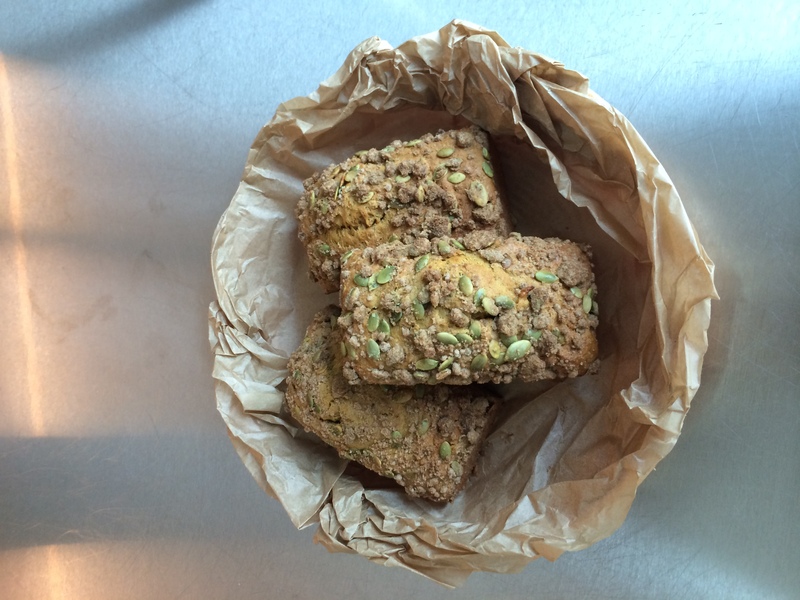 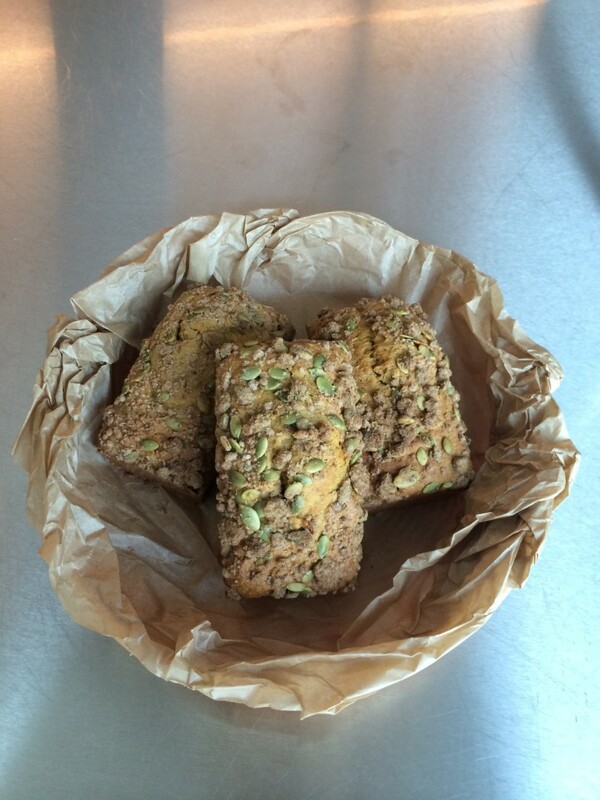 Pumpkin pound cake with pepita crumb topping. 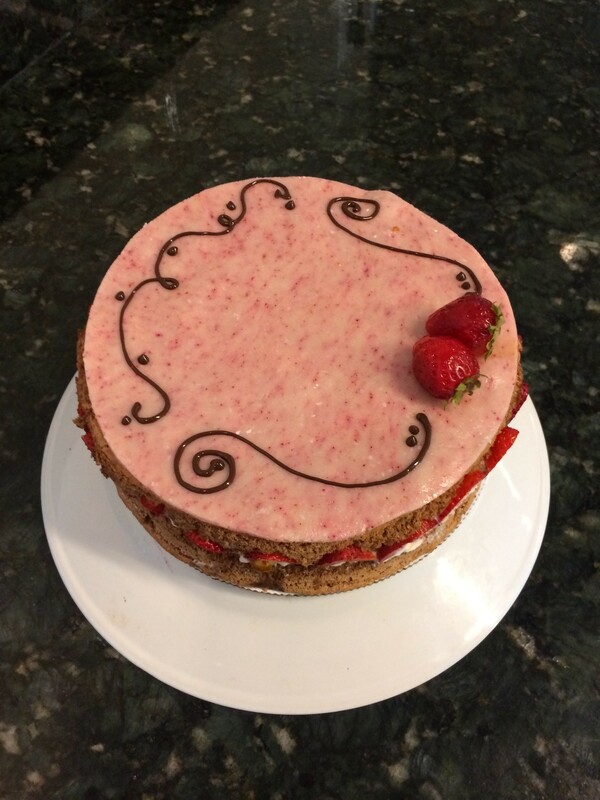 Complex cake: chocolate genoise filled with chocolate pastry cream mousse and strawberries, topped with strawberry jam and marzipan. 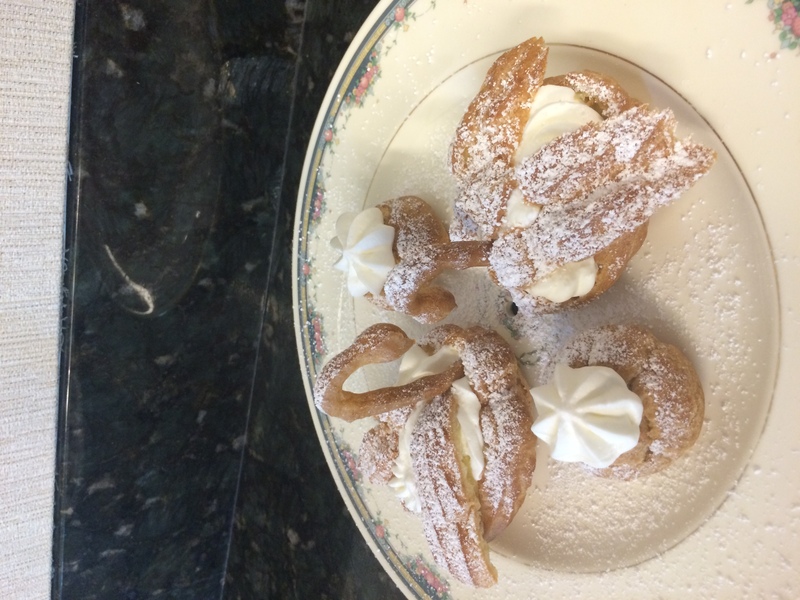 Cream puff swans filled with vanilla or chocolate pastry cream and topped with orange chantilly. 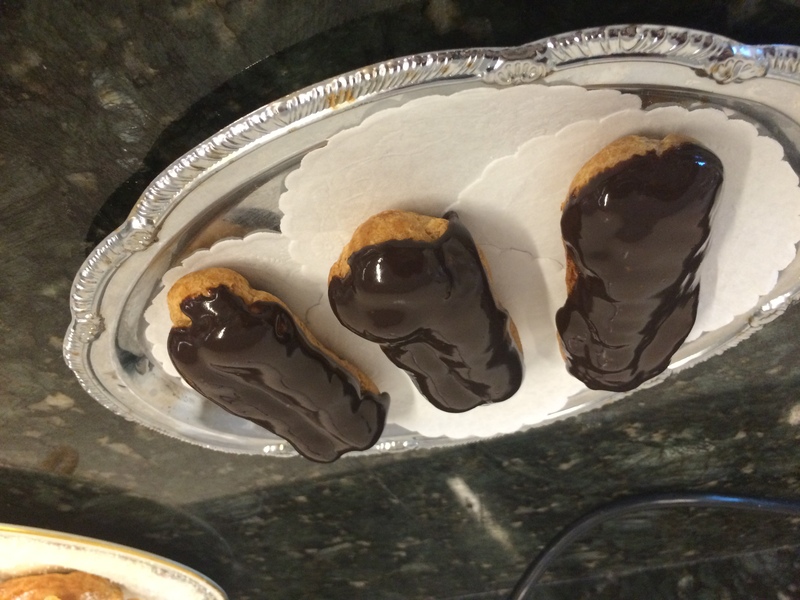 Smaller cream puffs filled with either chocolate, vanilla, coffee or pumpkin pastry cream. 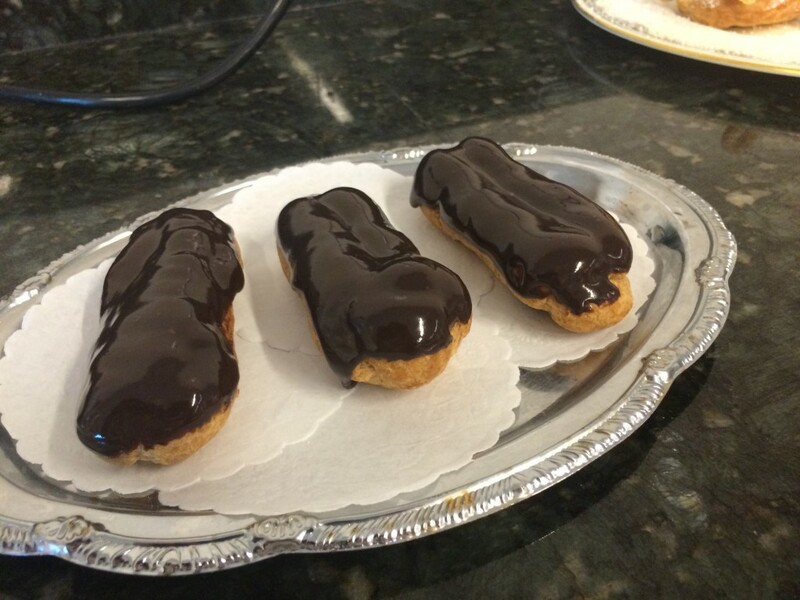 Eclairs filled with either chocolate, vanilla, coffee or pumpkin pastry cream and glazed in dark chocolate. 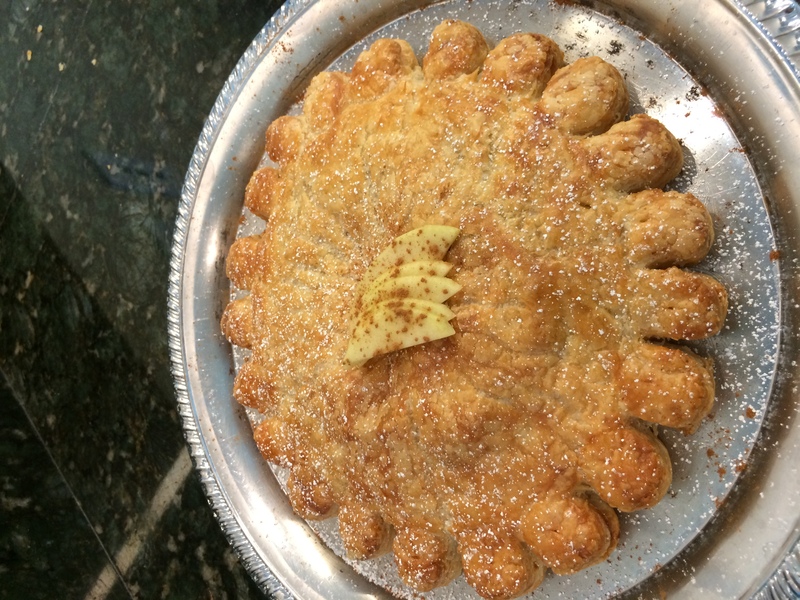 Puff pastry gateau pithiviers filled with frangipane and apples. 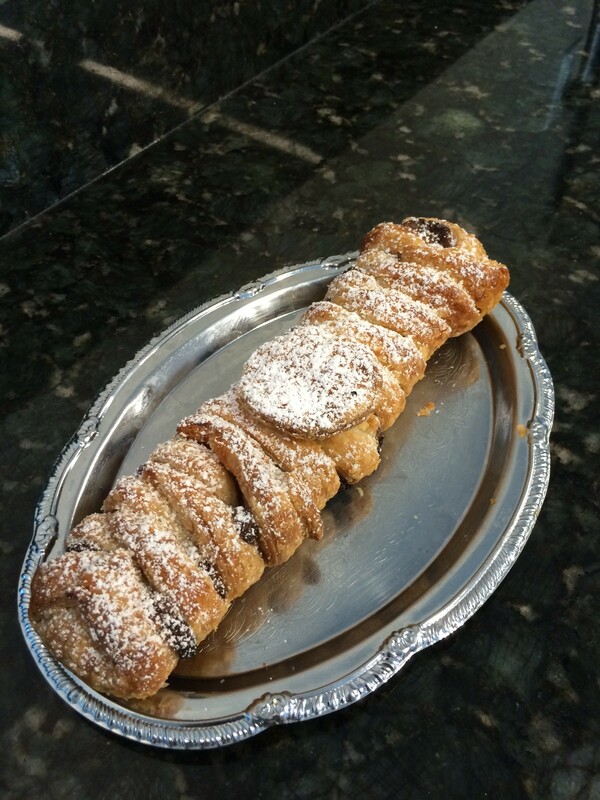 Puff pastry braid filled with boysenberry pastry cream. 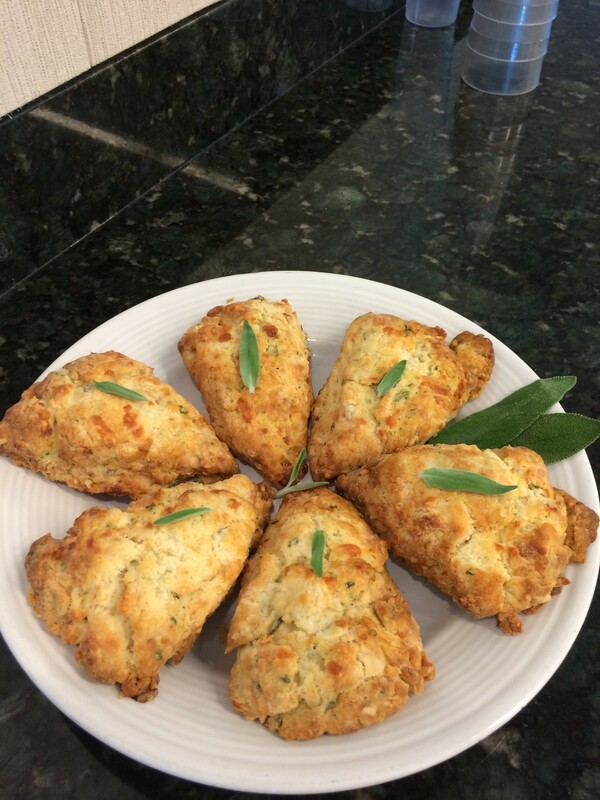 Savory scones with roasted garlic, fried sage and aged white cheddar. 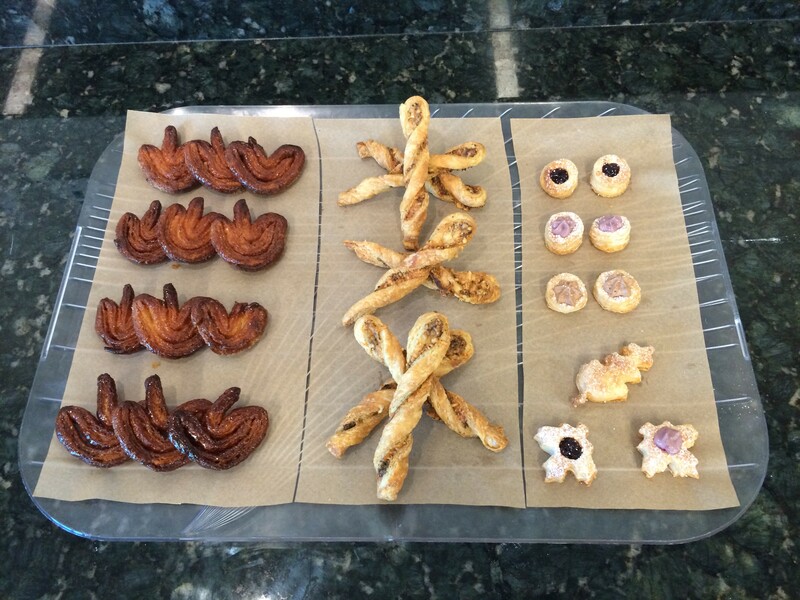 Cinnamon sugar palmiers, pesto and parmesan allumettes (puff pastry twists), and puits d’amour filled with boysenberry jam and either chocolate mousse or boysenberry pastry cream. 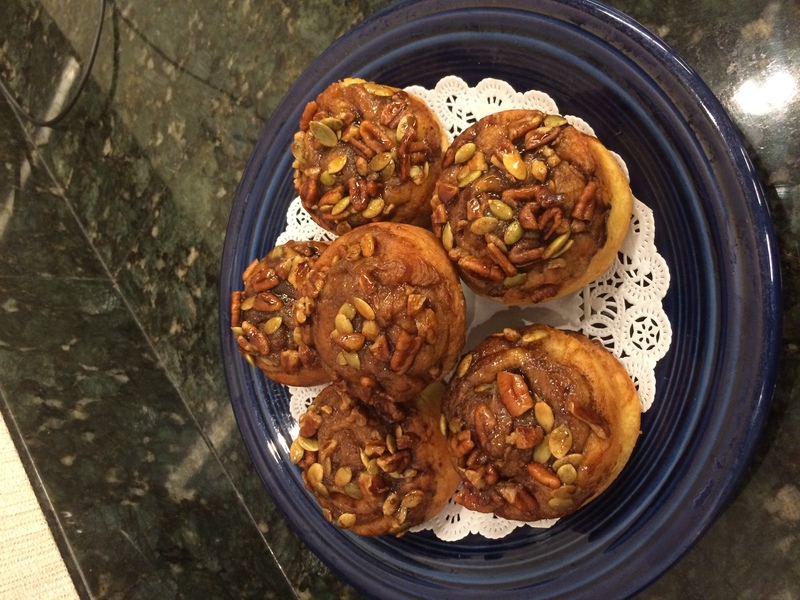 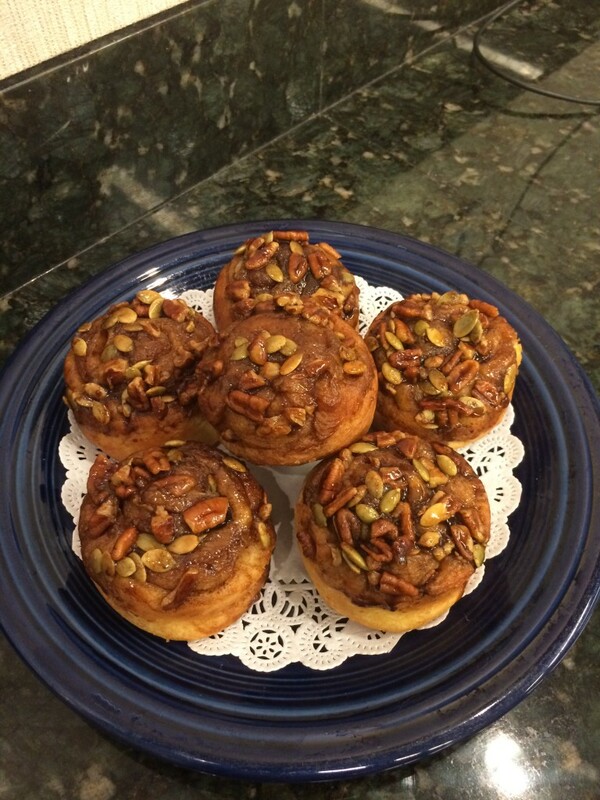 Brioche Sticky Buns with cinnamon sugar, pepitas, pecans and dried cranberries. 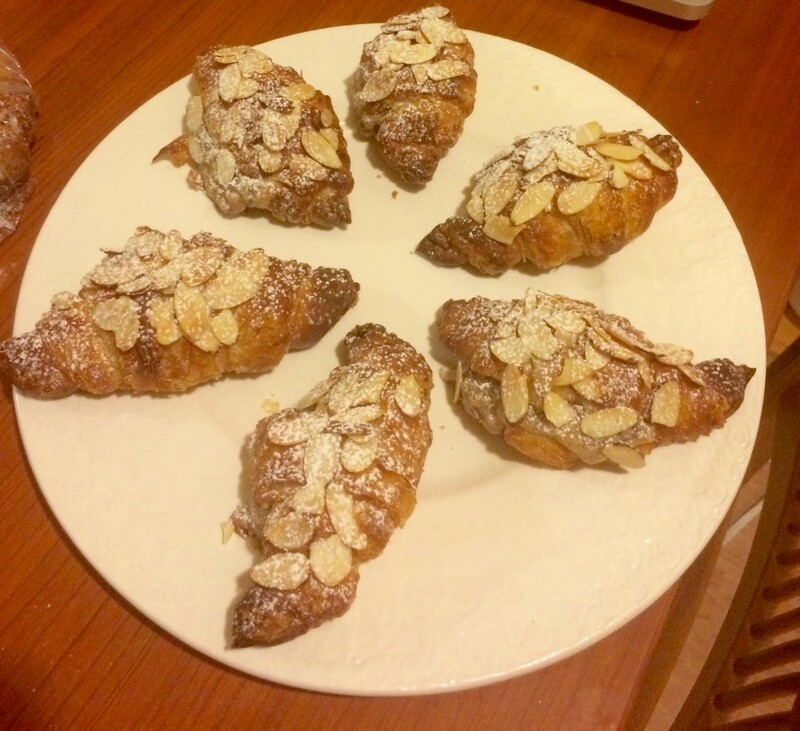 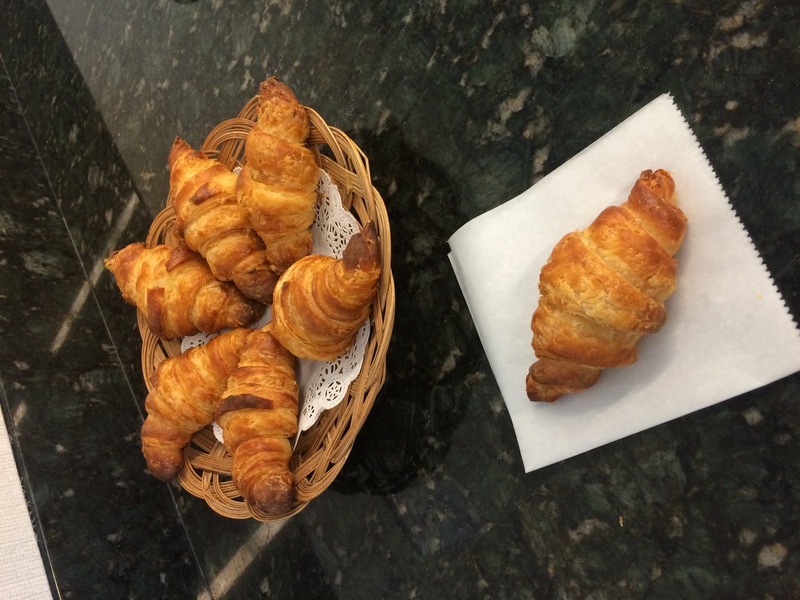 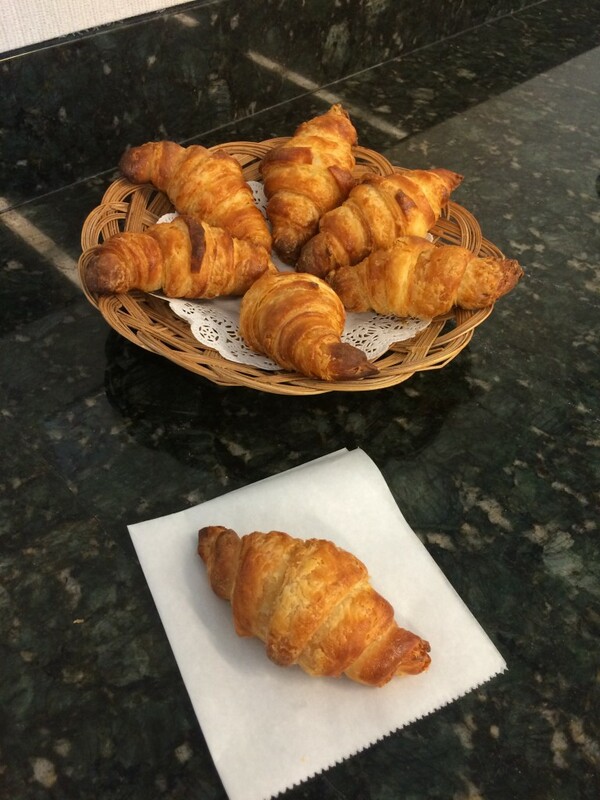 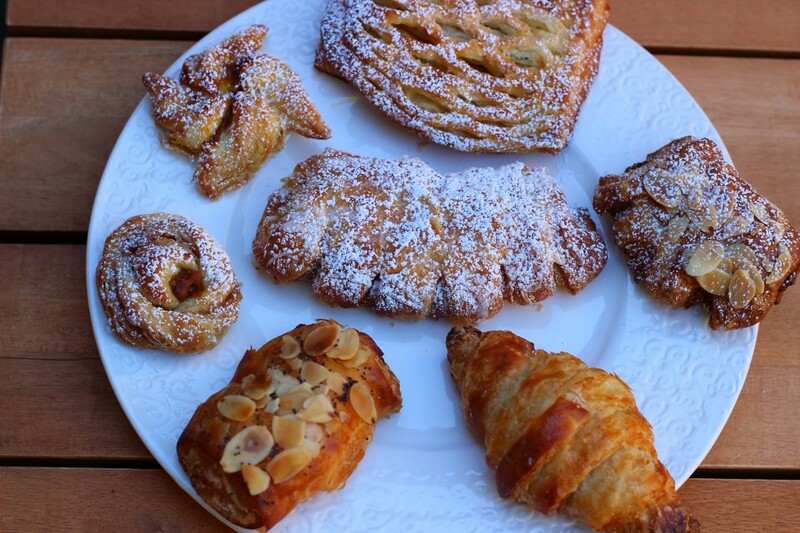 Assorted Danishes (bear claws, twists, pinwheels, lattice top pumpkin cheese danish), crescent croissant and croissant aux chocolat.